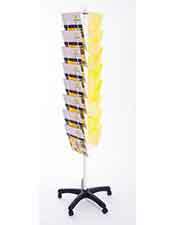 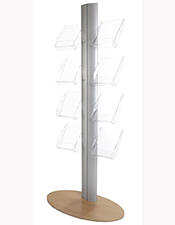 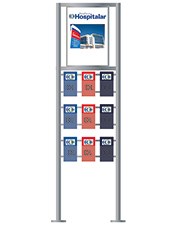 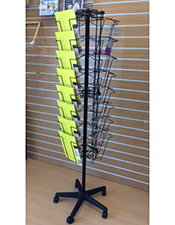 Floor standing leaflet holders are ideally suited for permanent display. 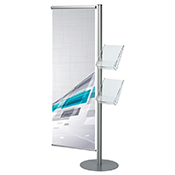 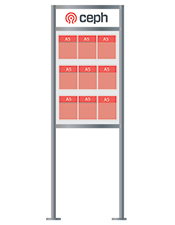 Some floor-standing literature stands can be put up and dismantled quickly for use at exhibitions and events. 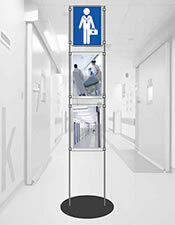 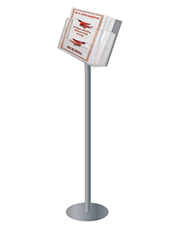 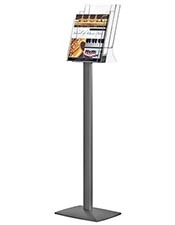 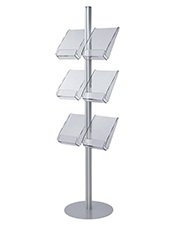 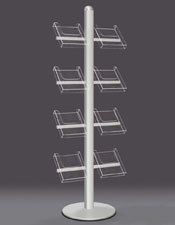 Floor standing leaflet holders are available in many sizes and display options. 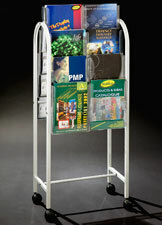 Needing an upmarket floor standing leaflet holder with company logo and graphics? 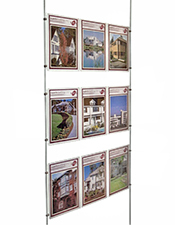 You will need our custom display stand option.